This question is not being raised often but, "Where is your Go-To Skin Care Centré?" Like what I said last time, it's very important to invest on your skin as early as possible to prevent your skin from aging fast. 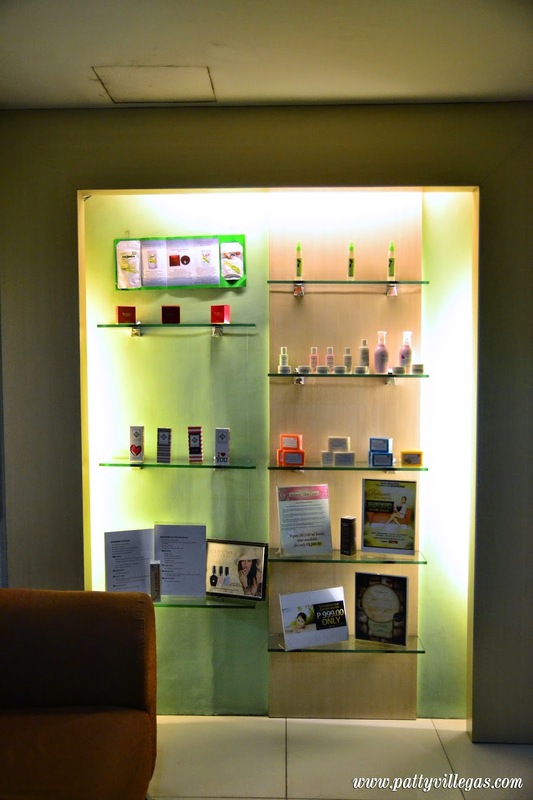 As for me, my teen years are over, that's why I choose Belmeré Skin Care Centré as my go-to skin care centre. 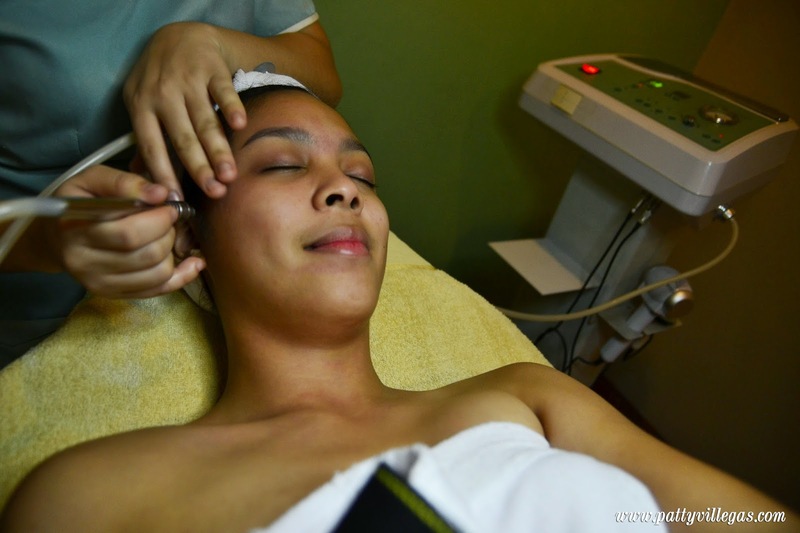 Last September, I was lucky to experience great skin care service courtesy of Belmeré Skin Care Centré at their relocated Alabang branch. From their strategic location at the south, the beautiful and kind owner Ms. Michelle, cozy clinic, reasonable prices of their services to the awesome staff, everything about Belmeré Skin Care Centré is commendable on my end. On the last week of November, I was able to visit their San Antonio-Shaw Blvd. 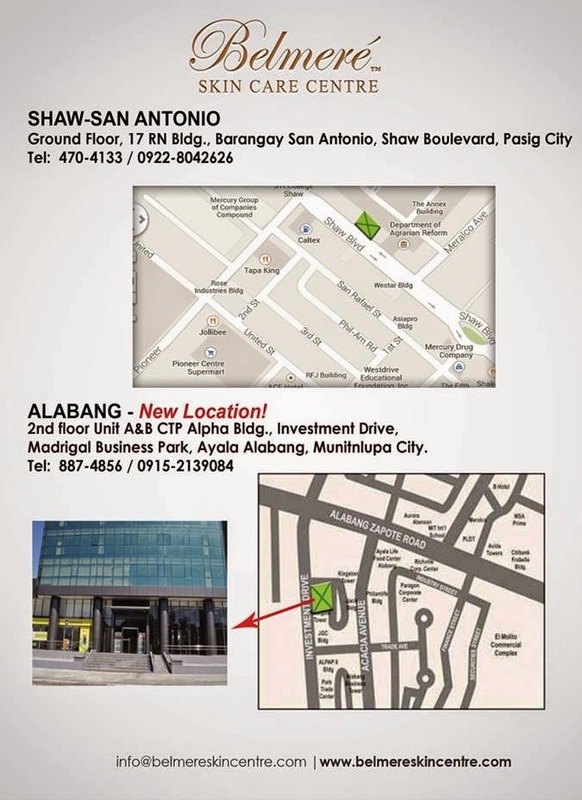 branch just near the EDSA Shangri-La Mall. The place was easy to find. Whether you're gonna commute or you have a car with you, you'll definitely can't miss this one out. The display of their locally produced beauty products are also on display. So glad to see Monica again for another pampering session. 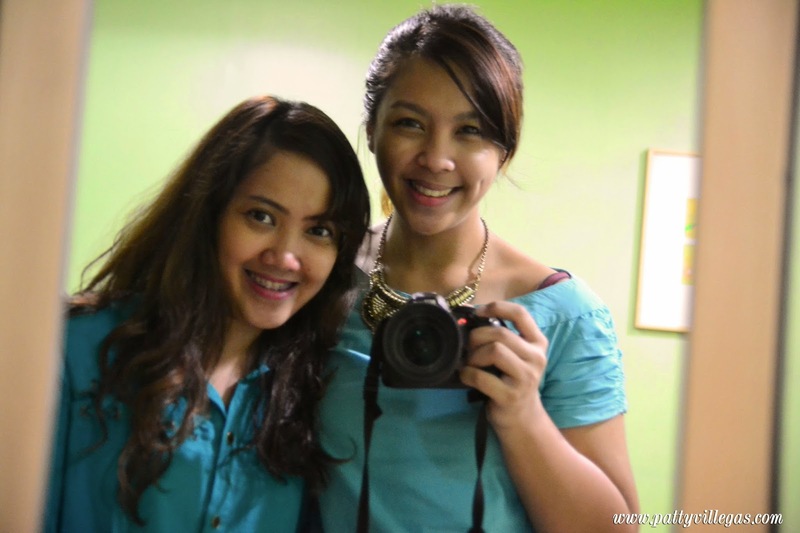 Looks like we mastered the mirror selfie! Relaxing music are all over the place while I wait for the technician to call me and start ous session. As I slide the door and see this room where all my sessions will take place, I felt the comfort because of their tidy room and accomodating staff. For the first service on our session today, she will be doing the UA Harmony Laser Hair Removal first since it is the fastest one among the three. I got the most sensitive among the sensitive types of skin. From head to toe, I easily get red marks if ever I bump into any object. Puberty came when I feel my UA became itchy because my period is about to have its monthly visit. Because of that, I can't help but scratched it. And now, I regret doing it because now, I achieved an uneven skin color on my UA. 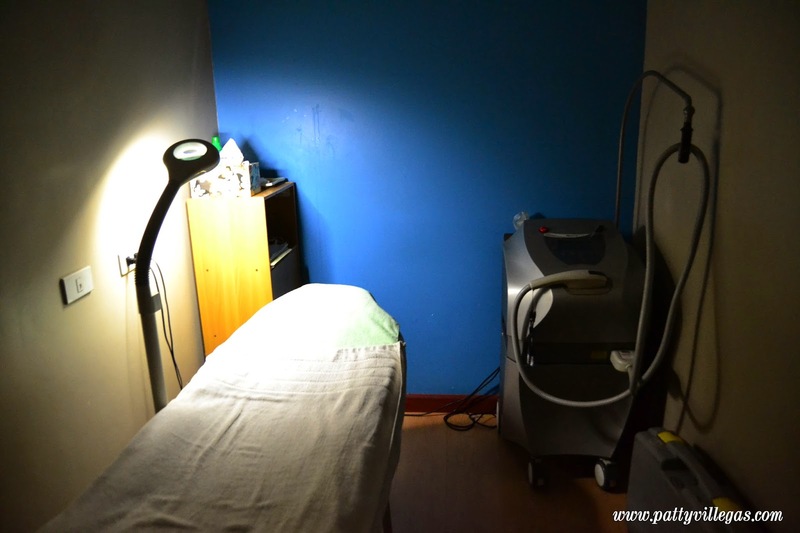 Apart from the monthly Harmony Laser Hair Removal to remove unwanted hair, I also have to avail 3-6 sessions of Diamond Peel for my UA to achieve even skin color. Are you also on the same page as mine? Read along on the coming months the development of my underarm. And when I'm ready, It would be my honor to do an underarm selfie to show you the changes from how it was back then. :) Mark my word! Well as usual, I look forward to my monthly UA session. This is already my second one. This fast, convenient service from Belmeré is truly heaven sent for me. With 15 minutes, I was able to achieve hair-free, smoother underarms. This is how the technician did her magic. 1. Application of cleansing cream on both underarms. 2. Shaving of hair on both of your armpits. 3. Application of cold gel on one underarm. 4. 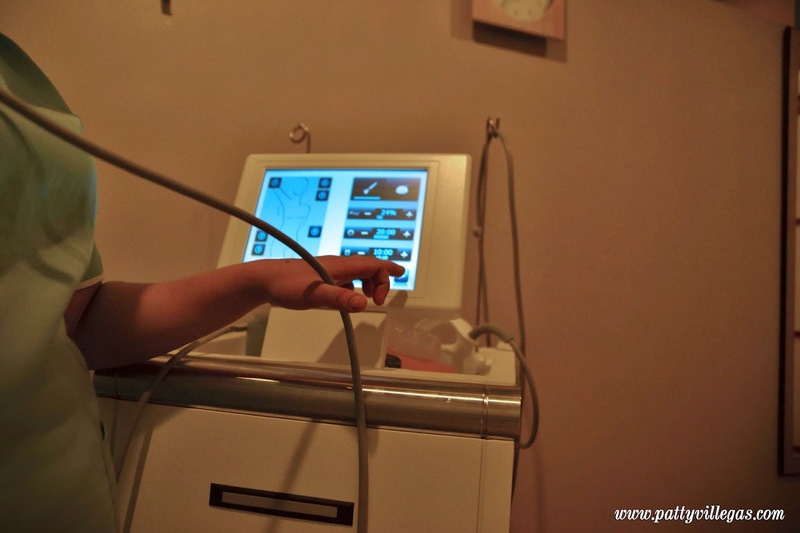 Exposure of underarm to pulses of light through the Laser Hair Removal Machine. 5. Clean up time! Wiping of excess cold gel over underarm. 6. Repeat step 3 to 5 on the other underarm. 7. Application of anti-inflammatory cream on both underarms. I am impress with how quick can the results be with the Harmony Laser Hair Removal. This time around though, I felt the warm pulses of light faster on my skin unlike the first one. I guess it's because the cold gel is not that cold? Maybe I should request for the coldest gel so that it will be a breeze while the technician is doing her stuff. For the second service, I tried their Diamond Peel. Like what I've said, if you'll spell sensitive skin, that's M-E. That's why I am keen on every service that is being done on my face. When the administrator suggested that I should get Diamond Peel for my face, I was a little bit hesitant because it's my FIRST TIME. But since I trust Belmeré and what they can do to help out my skin dilemmas, I trusted them on this and told the technician that I was game for it. According to the admin, Facial is perfect for people with acne. But if your goal for your face is to just get rid of black heads/white heads or dead skin cells, Diamond Peel is the best service to try out. The sound of its name to me is kinda fearful at first because of the word peeling. Of course I don't want my face to peel like a snake who hibernated because I don't maintain my face that much on a daily basis. The last but not the least--The Venus Freeze. Since this is the new Radio Frequency that I've been wanting to try since last September, I'm happy that I got the chance to try it on this day. And guess where I had it tried--my flabby arms. 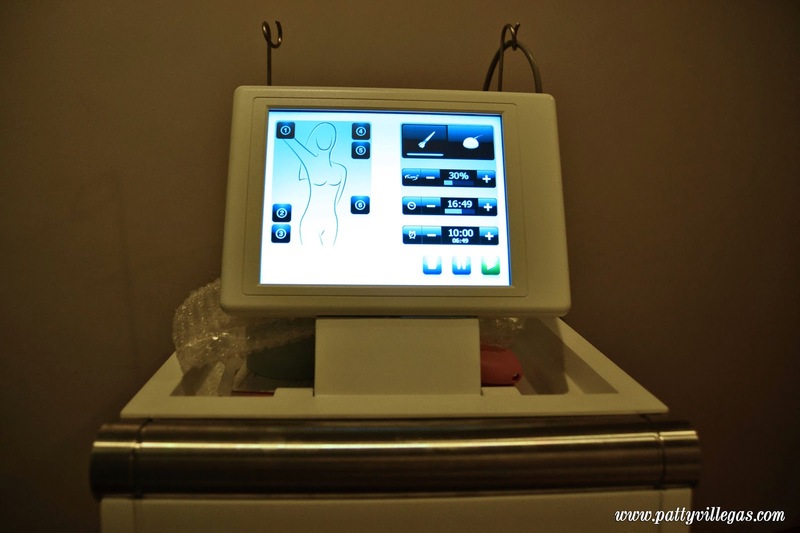 Venus Freeze can be done in any part of your body. 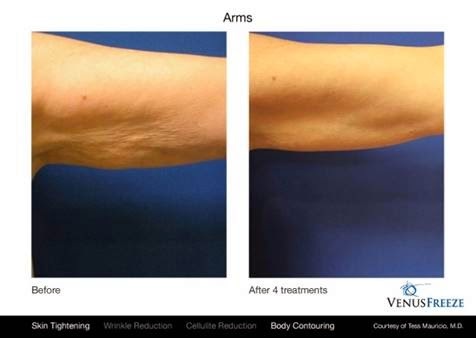 What Venus Freeze do is it actually freezes time and reverse aging through non-surgical body contouring, cellulite reduction, skin tightening, and wrinkle reduction. It can be used on different problem areas like on face, neck, and the entire body. Excited to try it out and see what it can do with my arms! Soon as we started, a cold gel was applied on my left arm first. Small applicator with diodes was used since the area that she'll be covering is smaller unlike bigger problem areas like tummy and thighs. The rod-like applicator was moved back and forth the area where she applied the cold gel for 10 minutes. The technician is as if scrubbing your arms 'til you feel the rod getting warmer. I like the fact that she asks if the rod is already hot for me not to handle. For me, I didn't encounter a moment where I felt the rod so hot that it actually hurts. Then, same procedure on the right arm. I was told by technician that actual results can be seen after 3 to 6 sessions as well. But, I'm happy that after the session, I knew something is different on my arms. I felt it was a little warm and firmer unlike how it was before the session. 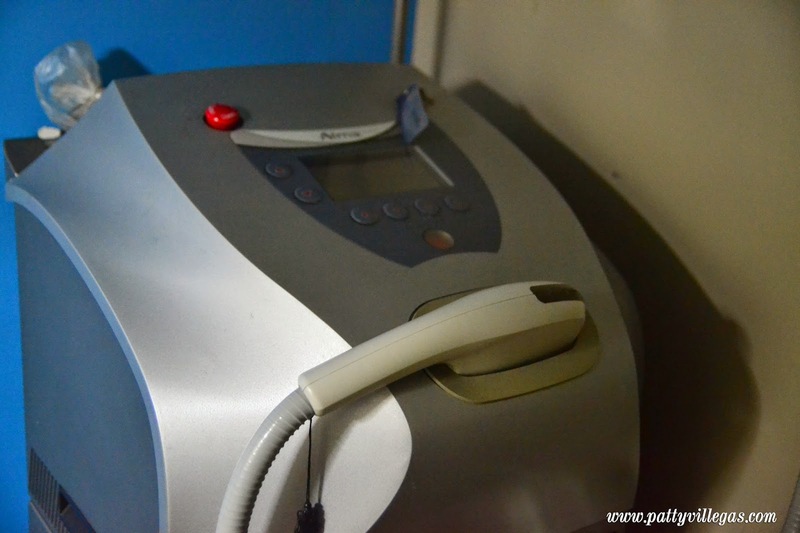 It is definitely a must try for people who want to contour, tighten or reduce cellulite on their problem areas. 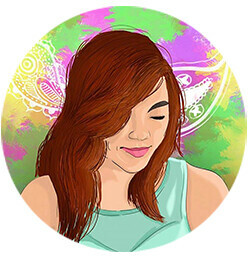 Here are other examples of clients who already tried Venus Freeze. Truly, my visit on my go-to skin care centre is definitely worth it! 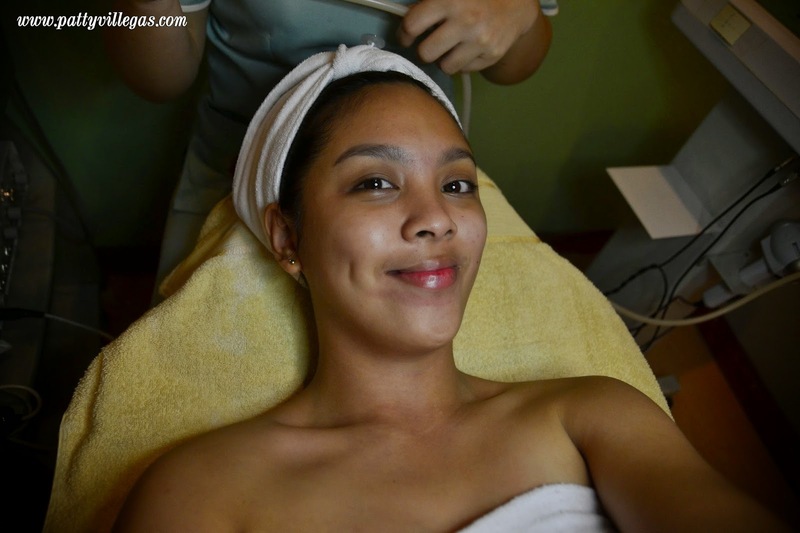 I can't wait for my next visit and have my skin pampered all over again! 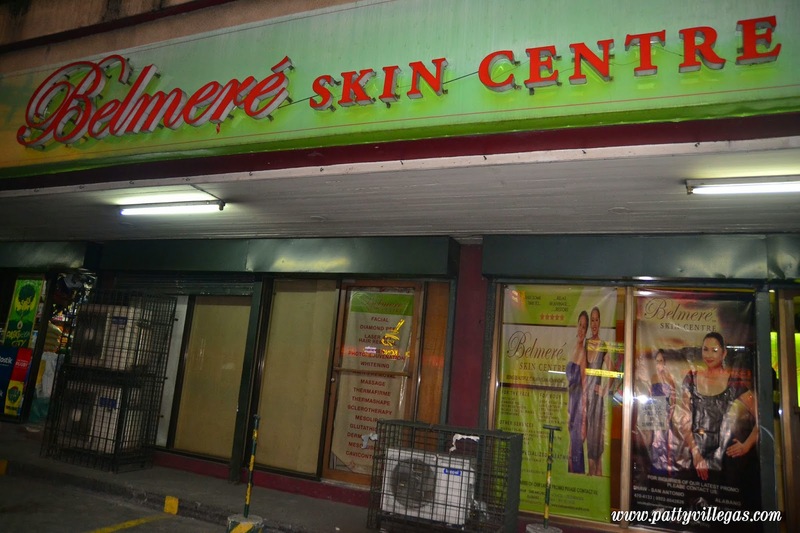 See you at the Belmeré Skin Care Centré branch near you!